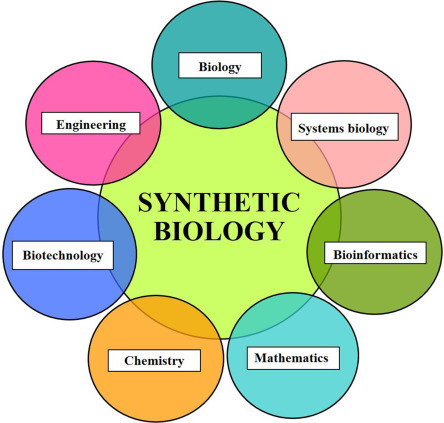 That’s the short answer to “what is Synthetic Biology?”!!! 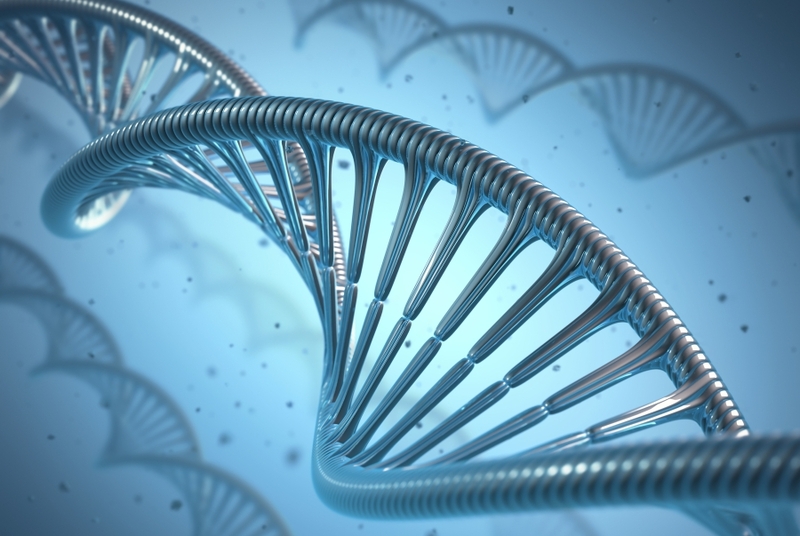 Why is Synthetic Biology so important? Synthetic biology is a massively flexible tool. It’s based on nature’s ability to efficiently make a huge range of products from plants to animals after a mere 3 bn years of work! It can be used to make anything from biofuels, commodity and specialty chemicals, high value pharmaceuticals, medical diagnostics, crop modification and food proteins to symbiotic nitrogen bacteria, to name but a few. Two notable food applications are the production of whey and casein proteins by Perfect Day and egg white proteins by Clara Foods. Both anticipate having commercial products within the next 2-4 years. Perfect Day has partnered with Archer Daniels Midland, a massive ingredient manufacturer, to scale up their process to massively disrupt the dairy industry in the next 5 – 10 years. Another very recent advance in food is the setting up of Motif Ingredients by Gingko Bioworks. With USD90m funding Motif has been set up to “offer sustainable alternative proteins and wide-ranging ingredient solutions for innovative food producers….. (using) biotechnology to re-create proteins from dairy, egg, and meat that provide uncompromised taste and nutrition” This will vastly improve the options available for alternative protein products across the animal spectrum. On the AgriTech side Pivot Bio has released its symbiotic nitrogen bacteria this year and they’re sold out already for 2019! They hope to see this soil microbiome approach eventually replace conventional nitrogen fertilisers. Also in the race are Joyn Bio, a joint venture between Gingko Bioworks and Bayer, who promote their product as “Probiotics for plants”. The nitrogen fertiliser market is currently worth USD250 bn, so plenty of room for both Pivot and Joyn at the moment! On the medical front, how about a cure for Type 1 diabetes! That’s what company ActoBio now has in phase 1B/2A clinical trials. The possibilities are all but endless! One good way of looking at this combination of disciplines is Figure 1 below. And what’s the market worth? 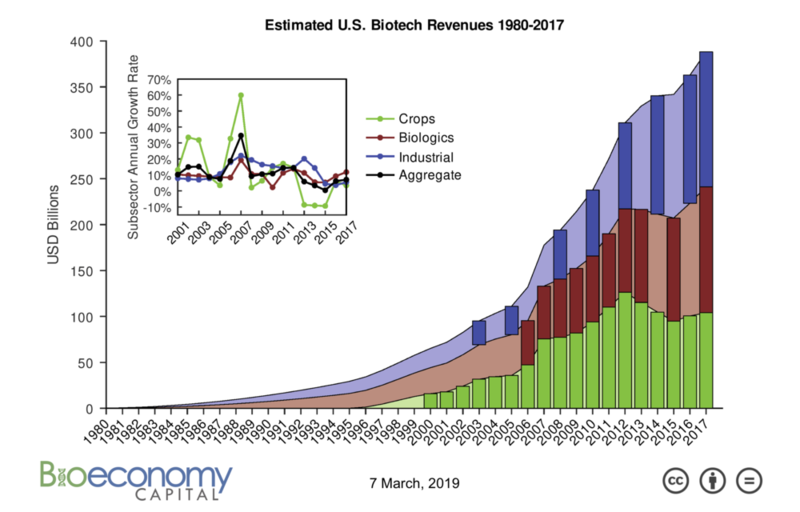 The market size is very confusing and this is most likely due to differences in the definition of what’s considered a “Synthetic Biology” company and/or product. Whatever the real number is they all agree that there’s a massive potential market showing impressive growth over the coming years. 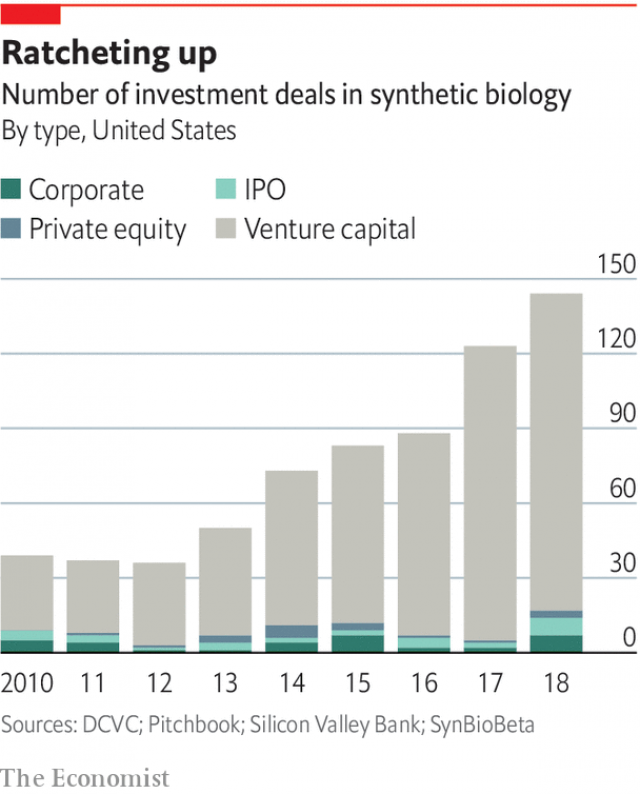 The corresponding exponential growth in the number of investment deals in synthetic biology is shown in figure 3 below. Obviously someone thinks there’s potential in the segment! Although it’s an amazing technology it’s far from a done deal, with significant hurdles still to be overcome. In particular the complexity of some biological processes and scalability are major sticking points for many potential products. Safety concerns about modified bacteria escaping their labs have also needed to be addressed. This has been done mainly by engineering the organisms to be dependent on nutrients that are not available in the wild or by including self-destruct mechanisms. Will this be enough to continue to satisfy regulators and the public, who knows? Social and ethical challenges are also major issues, particularly with the “hacking” of humans, as demonstrated by the uproar about the CRISPR editing of twin babies in China in November 2018. Will the general public accept these new technologies generally or only in certain areas? Will food be a bridge too far or will we acknowledge that issues like climate change and the growing global population’s need for food carry the day? Nothing is a given, but I’ll leave you with my favourite quote of the year so far from Singapore’s Prime Minister Lee Hsien Loong.